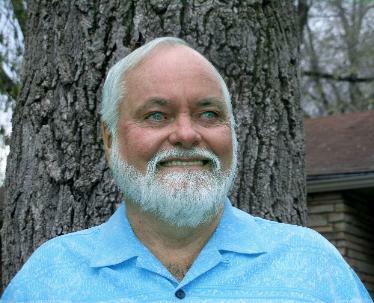 Conversations with God, A New Earth, and The Secret. This 352-page book truly extends the leading edge of spirituality. you can possibly experience. -a life free of the limitations of the physical realm. -free from gravity, time, labor, aging, disharmony, disease, degeneration, and death. -a life of infinite love, harmony, joy, and integrity. 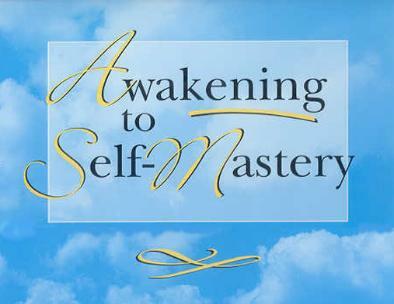 Awakening to Self-Mastery provides the insights and the how-to for changing your life. who have been asking any of the following questions. Who is Jesus? What is The Christ? What is the greatest life I can possibly experience? What do I have to do in order for me to experience the greatest life? What is a life of infinite freedom like? Infinite harmony, joy, and love? You will soon see that this is not a translation of another bible. The word translating, as used here, is a biblical term meaning changing. You will also see this 864-page book stands on its own in various categories. who consider themselves of the Christian world, as well as from those with metaphysical interests. and they later became recognized as verses. and invites the readers to read as though they have written the book themselves. which is living a life without limits . . . fully experiencing the infiniteness of God. Certainly this is truly a premier, one-of-a-kind, experiential bible. for attaining true mastery, which is living totally free from the laws and nature of the physical realm. our individual and collective spirit. that you are inseparable from the spirit of God that is within and about you, and throughout the universe. in mind and body, and experience a life of infinite freedom . . . always with love. realistically the life of a master . . . and fully experiencing true Oneness. Translation is the ultimate enlightenment of the physical body. and omnipotence. It is becoming respiritualized, regaining the spiritual perfection that we were created to be. or when it rematerializes again. Going and coming as the wind. into a higher vibration of spiritual life. and lives wholly in Christ consciousness. Translation is the fulfilling of our soul’s desire. of having the power to glorify all conditions and all things, a life of instant manifestation. Yes, Beloved, it is a life of being truly free and infinite. The word translation, when used to describe this kind of change, is not a newly coined definition. It is a biblical term used when the physical body does not die, but becomes Spirit . . . Holy Spirit. and lived by these principles to the degree that they, too, have translated . . .
and do translate, effortlessly, whenever appropriate. Translation is something that each one must and will experience . . . sooner or later. If not this lifetime, then another. as one cooperates with the principles concerning translation . . .
and it is accomplished without experiencing death of the physical body. 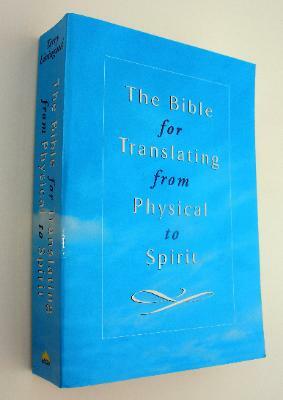 Yes, The Bible for Translating from Physical to Spirit is a step-by-step teaching, a blueprint for translation. and what it is like after the initial translation. It also contains two detailed indexes, and an extensive, one-of-a-kind, 194 page concordance. It is designed to be exceptionally user friendly for study groups as well as for individuals. Even children and teens can comprehend the true meaning and benefit. What a wonderful life one would have by living these principles from an early age! This is truly an experiential bible that provides guidelines for attaining mastery. The words are empowered to continuously take on new meaning according to one’s level of comprehension. and could very well be the textbook for the spiritual evolution of the coming age.